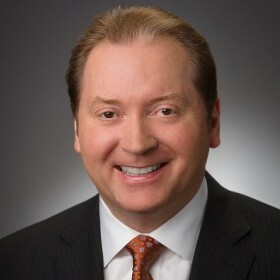 Lee M. Tillman is president and chief executive officer of Marathon Oil Corporation and a member of the Marathon Oil Corporation Board of Directors. He joined the Company in August 2013. Prior to joining Marathon Oil, he served as vice president of engineering for ExxonMobil Development Company (a project design and execution company), where he was responsible for all global engineering staff engaged in major project concept selection, frontend design and engineering. He served as North Sea production manager and lead country manager for subsidiaries of ExxonMobil in Stavanger, Norway, from 2007 and 2010, and as acting vice president, ExxonMobil Upstream Research Company from 2006 to 2007. Mr. Tillman began his career in the oil and gas industry at Exxon Corporation in 1989 as a research engineer and has extensive operations management and leadership experience that has included assignments in Jakarta, Indonesia; Aberdeen, Scotland; Stavanger, Norway; Malabo, Equatorial Guinea; Dallas and New Orleans. Mr. Tillman holds a Bachelor of Science degree in chemical engineering with honors from Texas A&M University and a Ph.D. in chemical engineering from Auburn University. He is the recipient of the 2014 Auburn University Chemical Engineering Distinguished Alumnus Award. He is a board member of the American Petroleum Institute, American Exploration & Production Council and the Greater Houston Partnership, a member of the University of Houston Energy Advisory Board and the Chemical and Engineering Advisory Councils of Texas A&M University. He is also a member of the National Petroleum Council and the Society of Petroleum Engineers.